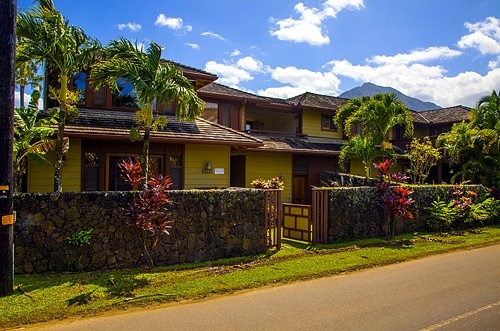 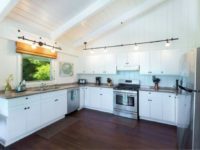 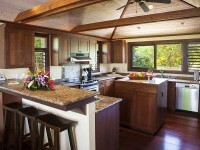 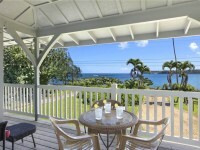 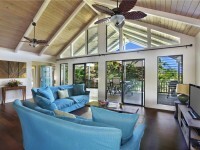 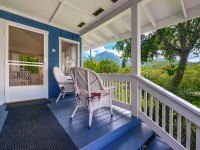 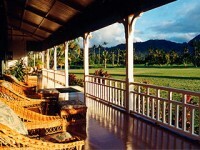 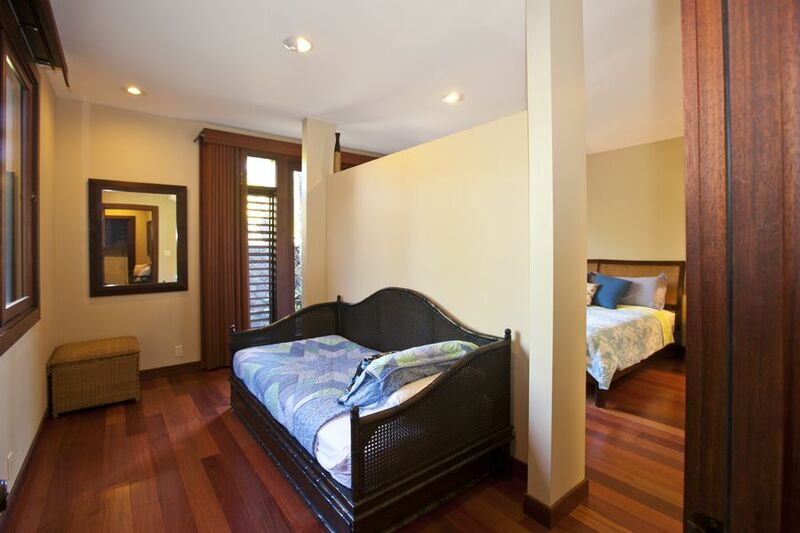 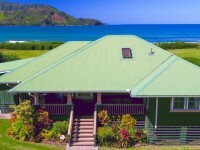 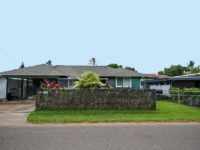 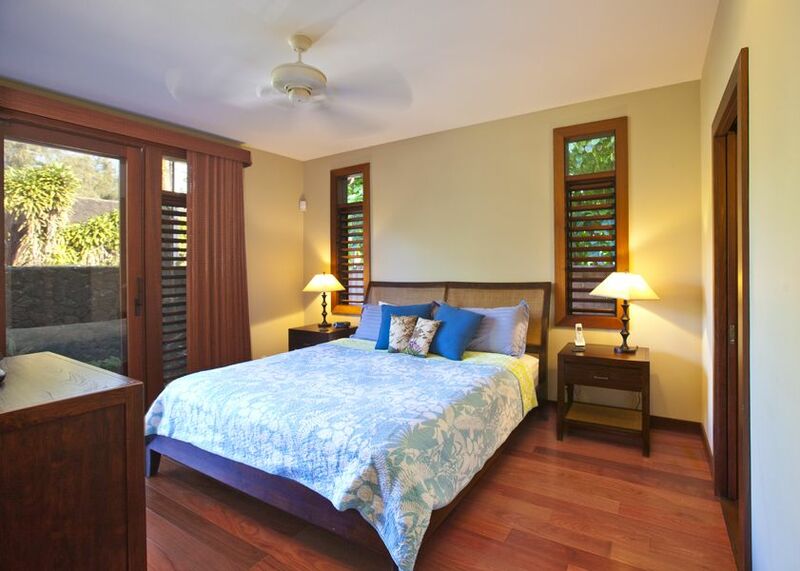 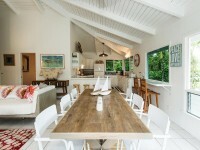 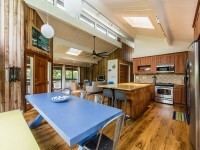 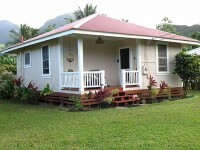 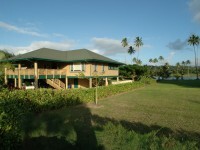 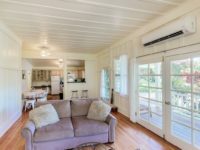 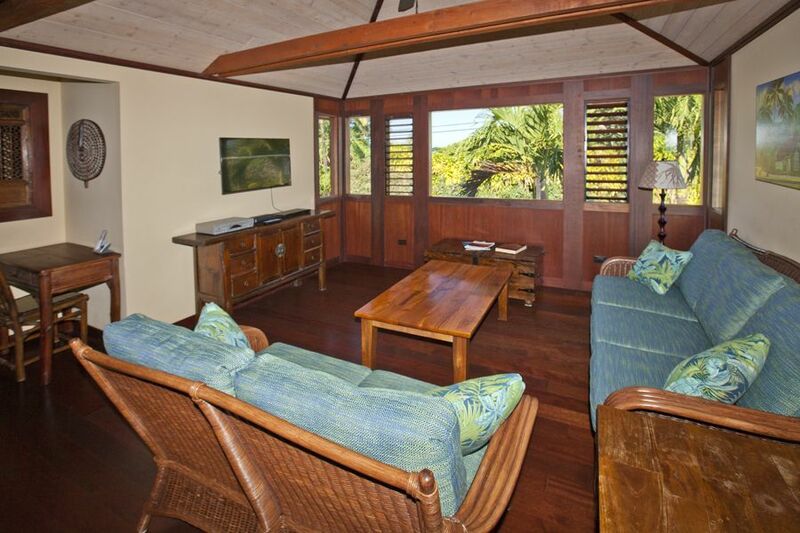 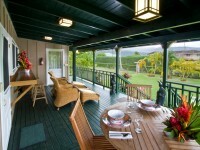 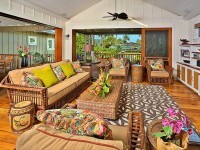 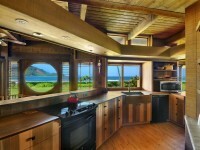 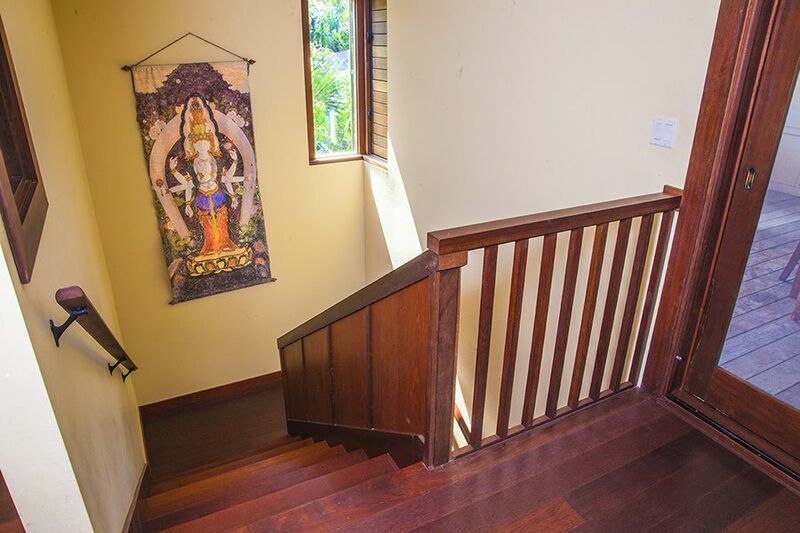 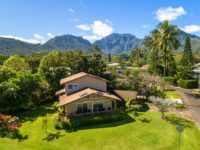 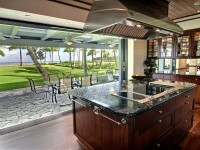 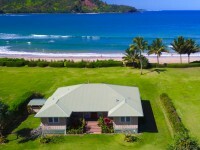 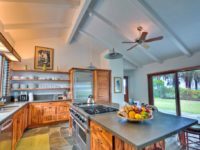 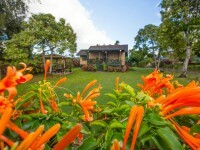 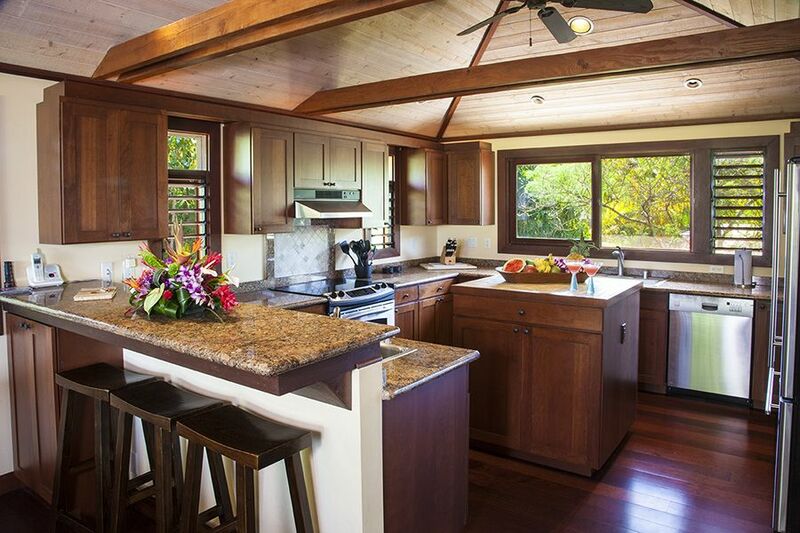 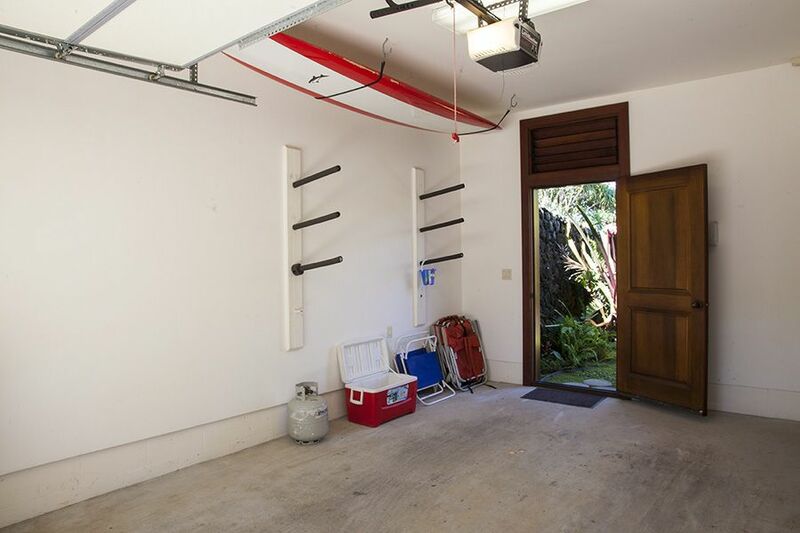 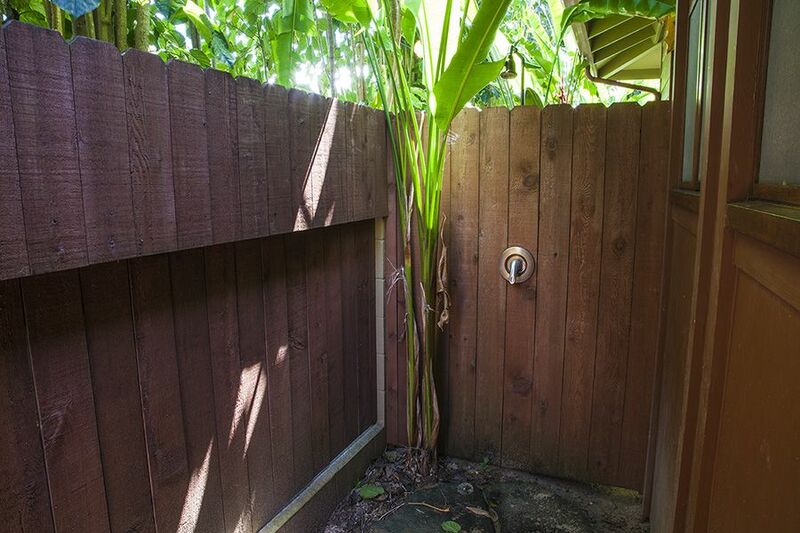 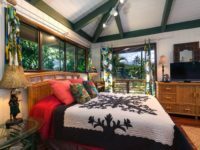 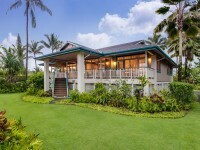 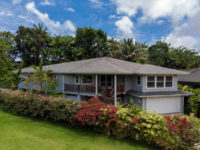 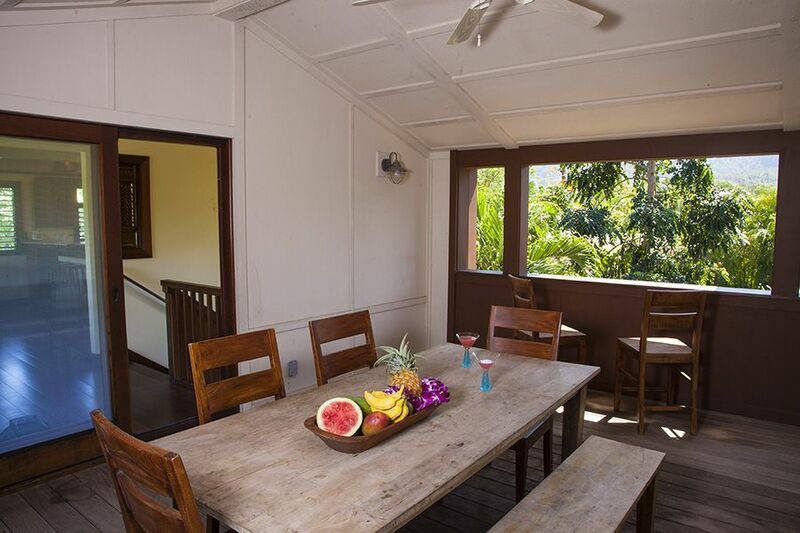 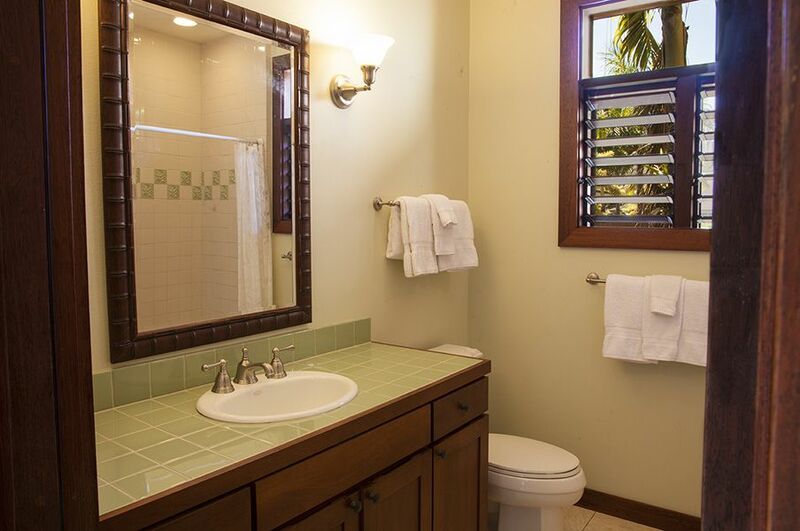 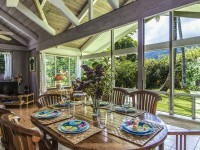 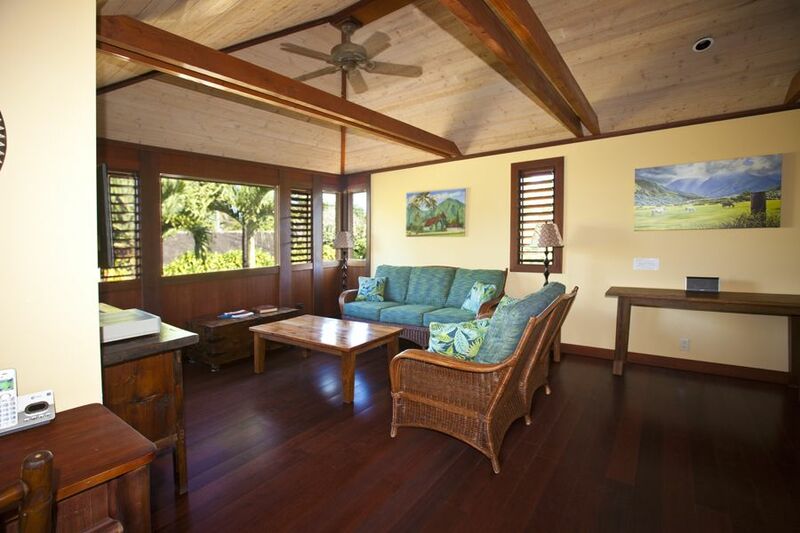 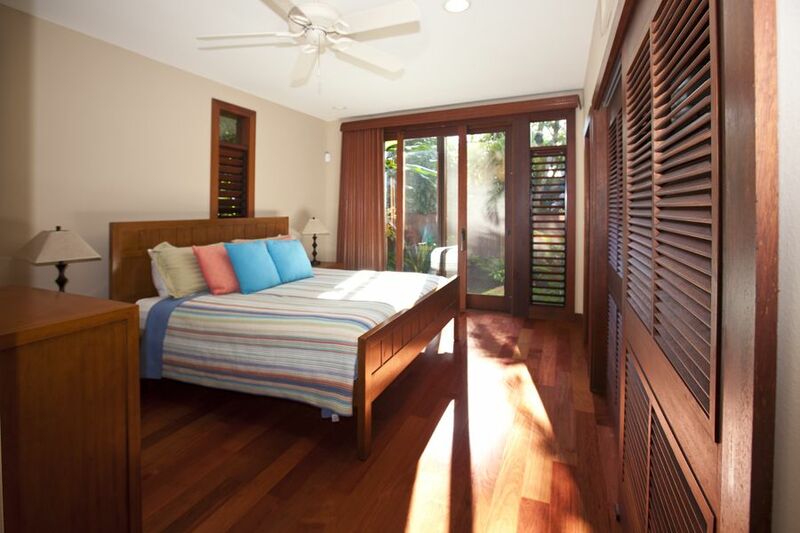 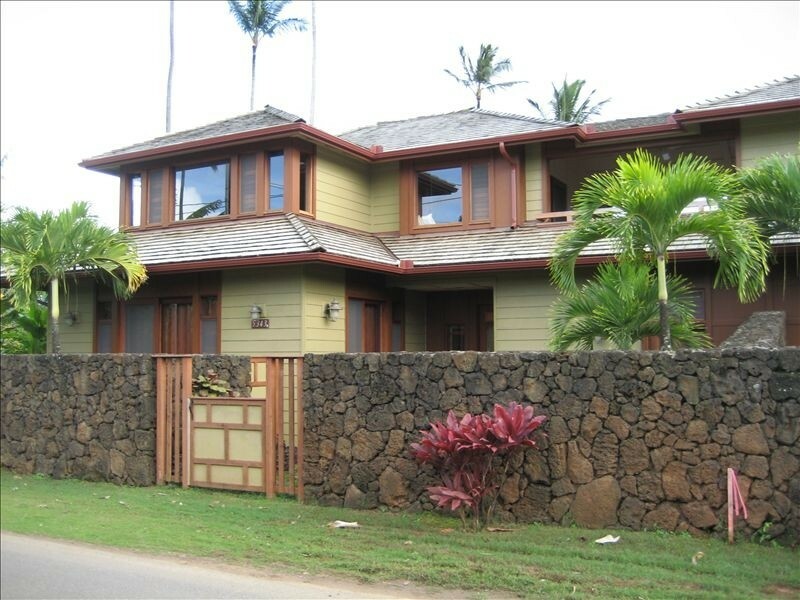 HANALEI, KAUAI VACATION RENTAL: Hale Ylang Ylang a beautiful new town home just a short walk from gorgeous Hanalei Bay. 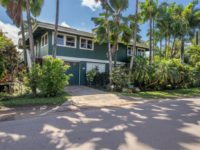 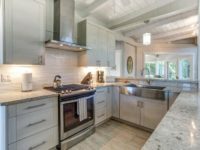 Finely crafted with quality woods and granite counter tops, this charming two-story property has much to offer including ocean and mountain views from the upstairs living area. 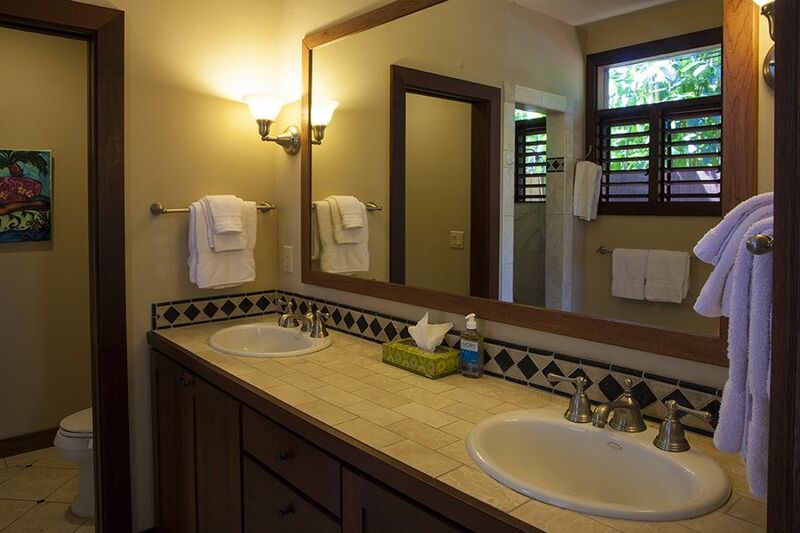 Downstairs you’ll find two private King master bedrooms with en suite bathrooms and a very private and delightful outdoor shower! 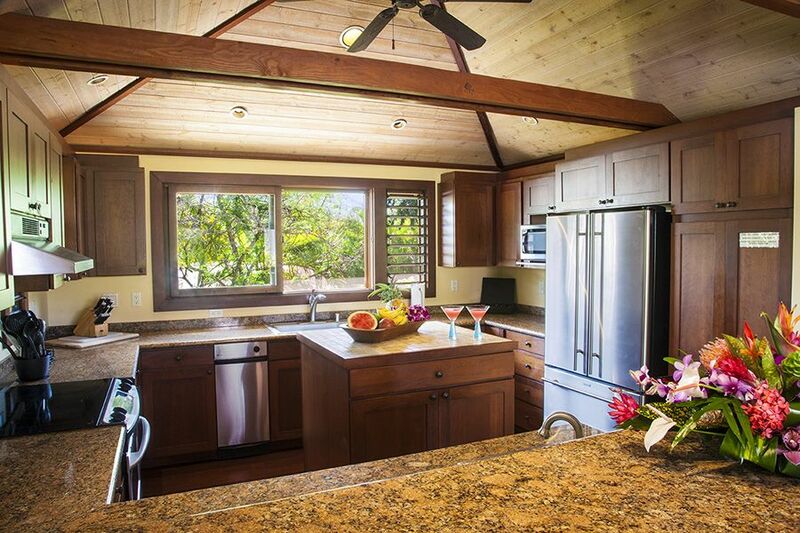 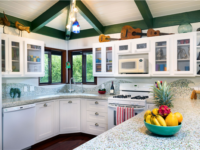 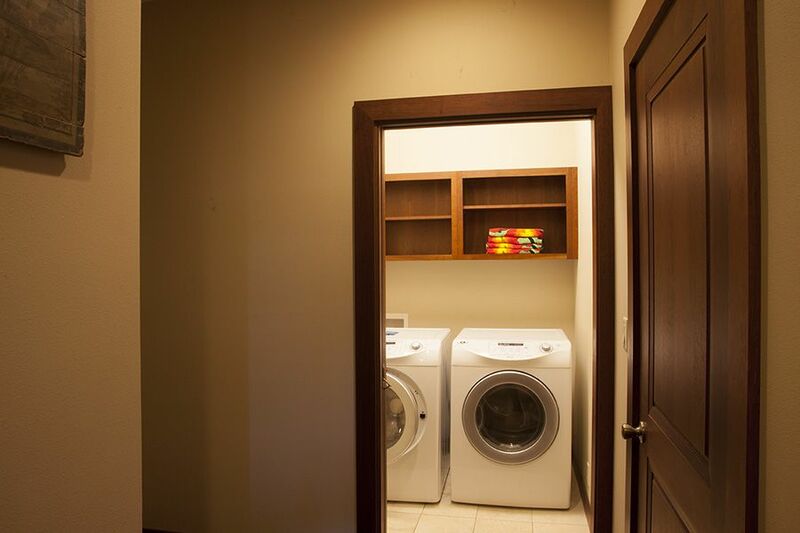 Head upstairs to enjoy the fully equipped gourmet kitchen with island counter and sociable bar counter seating and the comfortable living area with high-end electronics and high speed wireless internet access. 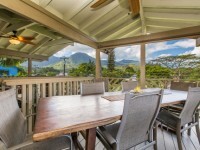 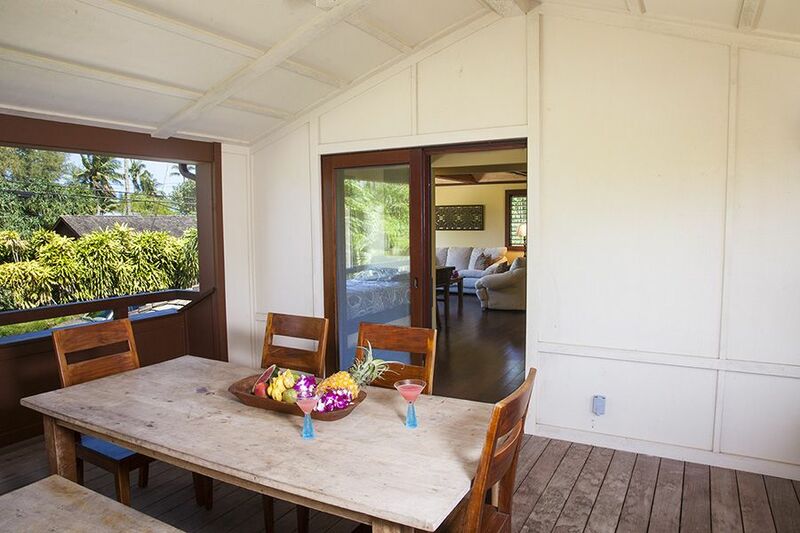 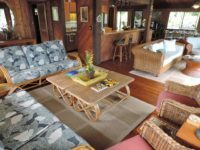 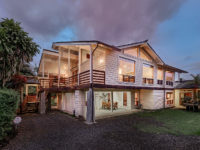 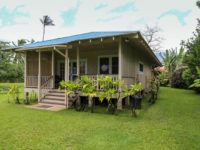 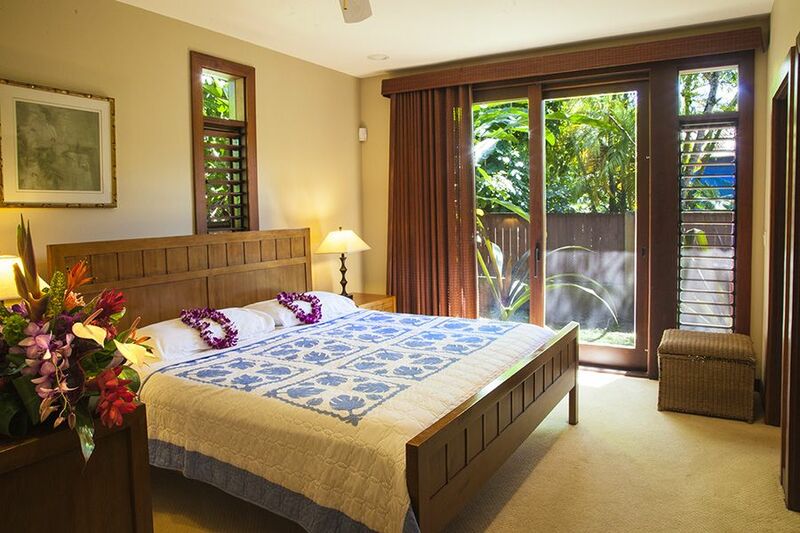 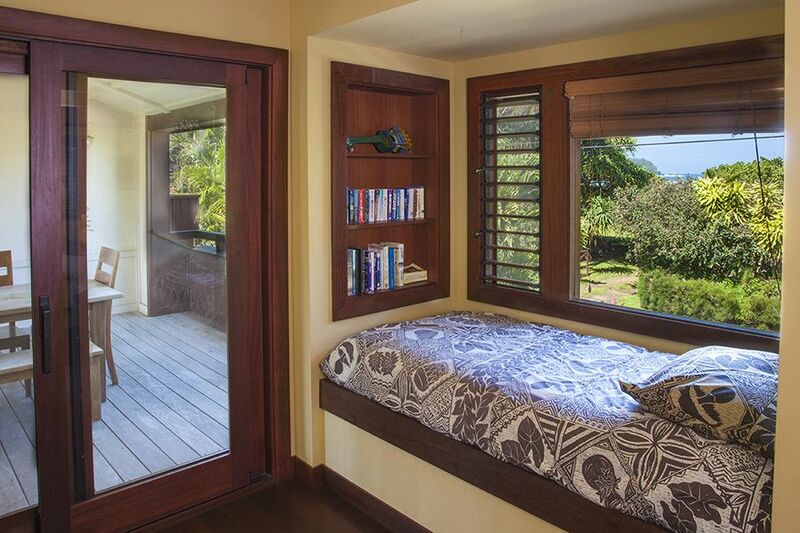 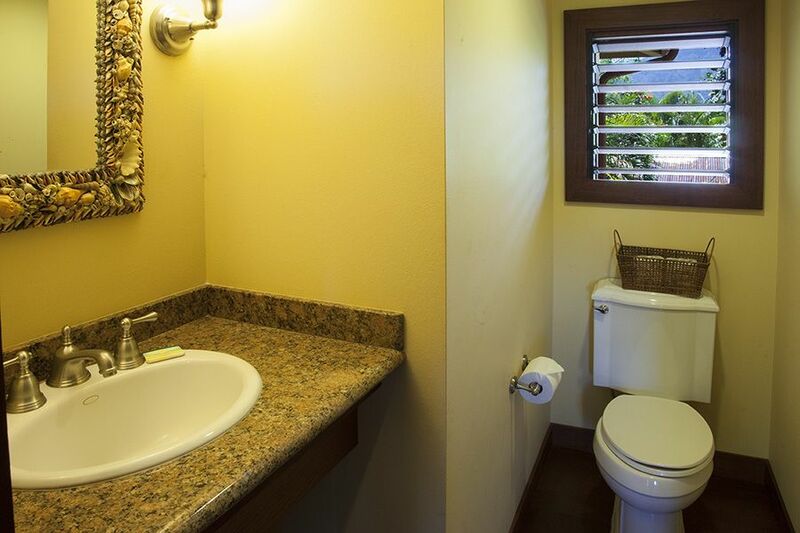 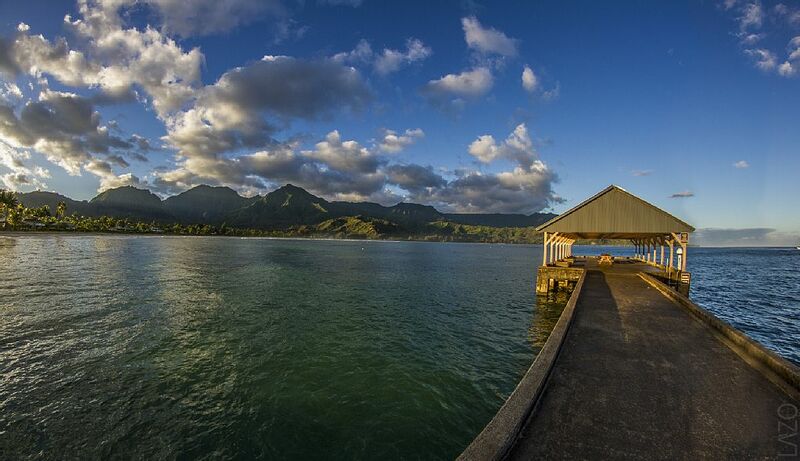 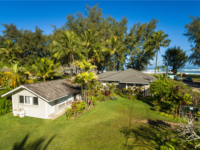 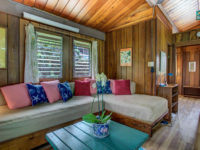 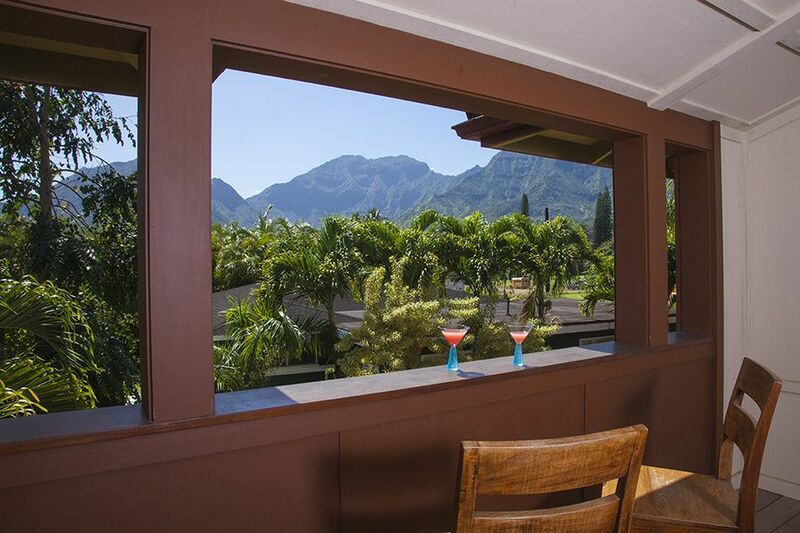 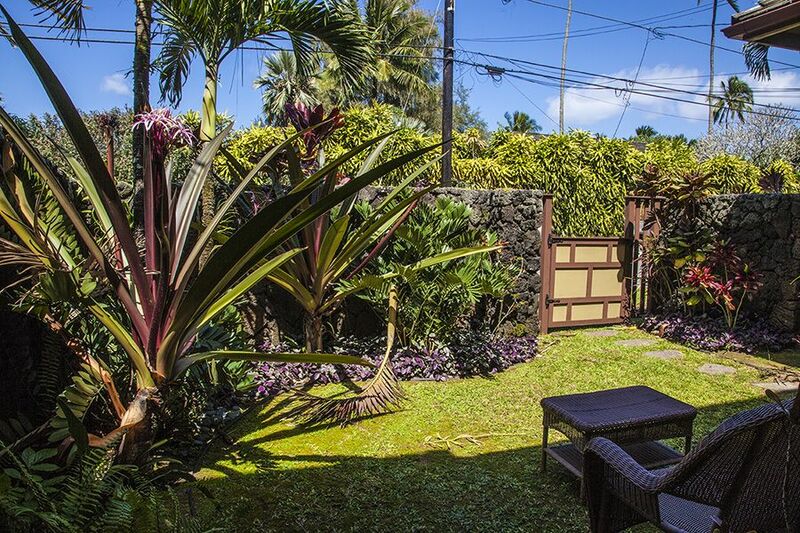 You can curl up and enjoy ocean views from the cozy window seat, or dine Hawaiian style on the protected outdoor lanai with breathtaking views of the peaks and waterfalls of the Hanalei Mountains on one side, and Hanalei Bay on the other!This is the perfect get-away spot for two couples or a small family. 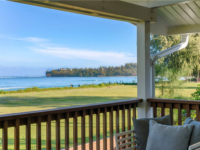 It is just a stroll to the Bay or short walk into town for farmers market, shopping, restaurants, quality natural foods, yoga, health and beauty services, equipment rentals.